The world’s largest bank, HSBC (HSBC Holdings PLC), is considering ditching the Blackberry in favor of the iPhone. Brenton Hush, CIO for HSBC in Australia and New Zealand, said on Tuesday that the bank is looking at rolling out Apple’s iPhone across it’s worldwide workforce of 300,000. 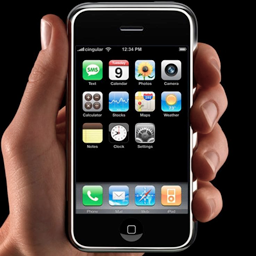 Apple has not yet released official sales numbers for the iPhone 3G beyond the first weekend, but analysts predict that Apple will sell at least 4.5 million iPhones this quarter alone, in addition to Apple’s sales in 22 additional countries later this month. HSBC to Ditch Blackberry for iPhone was published on Wednesday, August 13, 2008 at 11:20am MDT by Daniel Menjívar and last updated on April 11, 2018 at 9:30pm UTC .